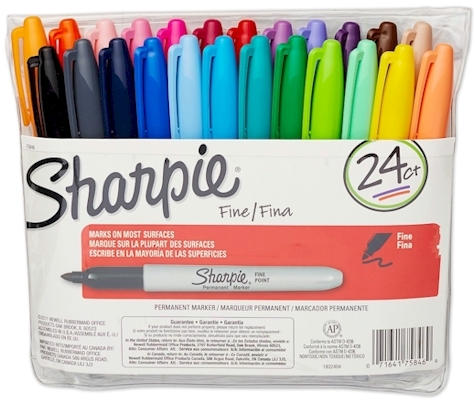 Sharpie Precision Ultra Fine Point Permanent Markers, Assorted Colors, 24-count, $11.85 with free Prime/SuperSaver shipping. 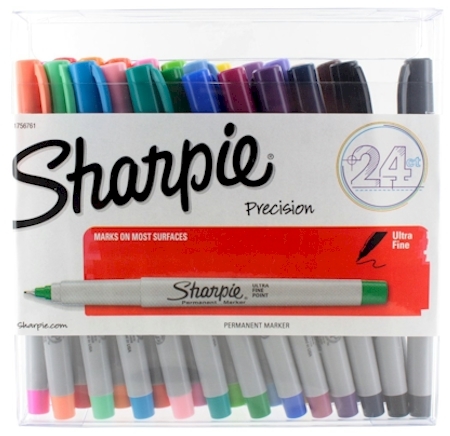 Sharpie Precision Fine Point Permanent Markers, Assorted Colors, 24-count, $12.93 with free Prime/SuperSaver shipping. 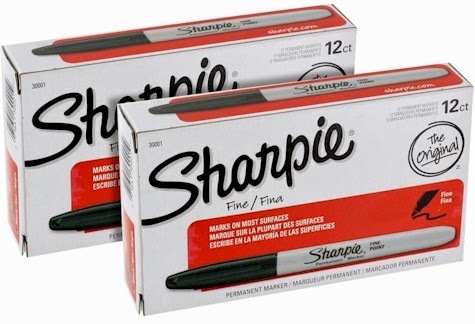 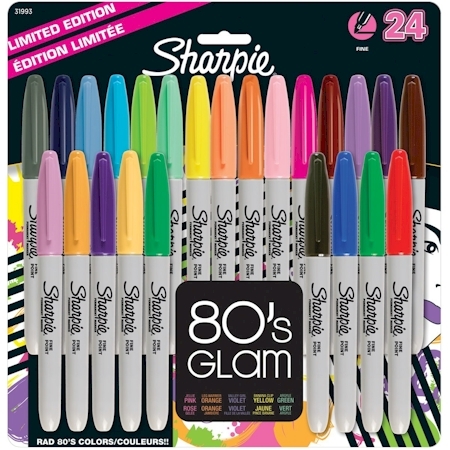 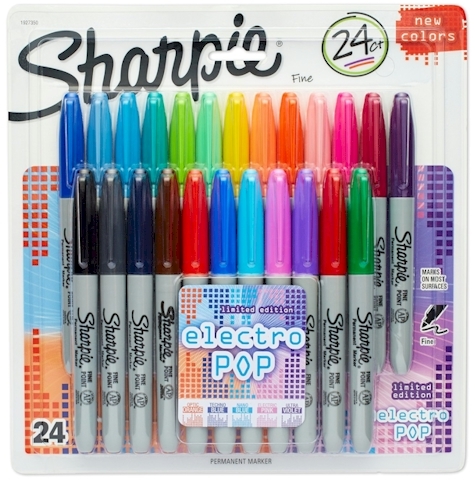 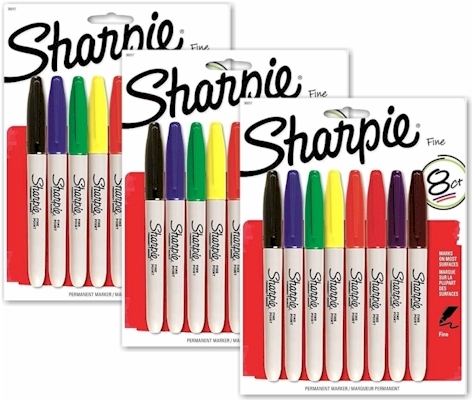 Sharpies Black Fine-Point, 24-count, $10.99 with free Prime/SuperSaver shipping.